Current Western understandings of Consciousness fail us. It's time to look outside the box. 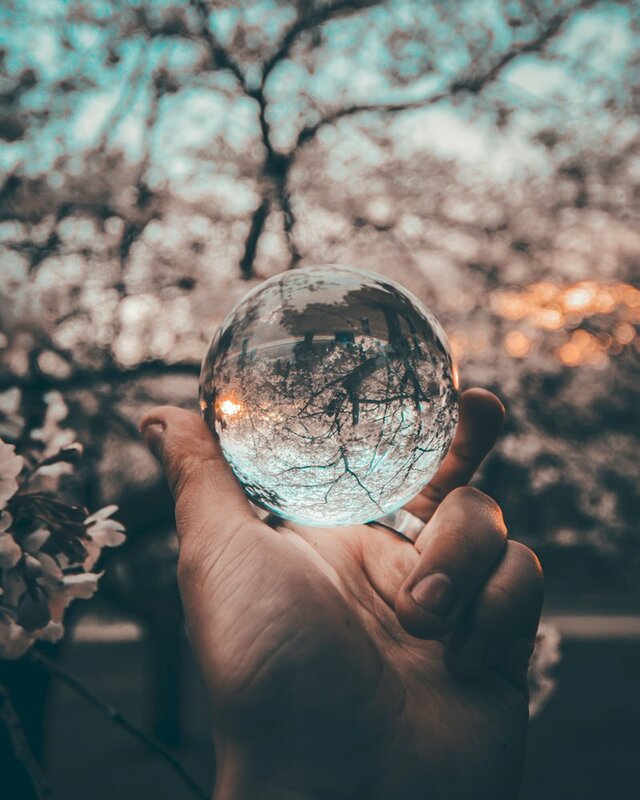 📷“person holding ball focus on tree” by Hannah Jacobson on Unsplash. In short: the current theory means we cannot answer the most basic, yet fundamental, questions of Philosophy. Say you want to know if other people - and the world - exist. Our current understandings of consciousness (in the tradition of Western Philosophy) are based around your mind being somewhat insular. This is in line with Western emphasis on individualism, which focuses on consciousness, experience, free will and identity at the level of the individual. Philosopher ‘friend’: Your mind thinks, feels and you experience data inputs — such as sight, touch, taste — from the world around you. Unfortunately, that means there’s no way of knowing if others or the world exist, as we have no way to prove that data hasn’t been falsified. You (sadly): Oh no. Is there any way I can escape this mess? Philosopher ‘friend’: I guess the Philosophy faculty could do with some extra funding! If our model was intuitively obvious, other societies would have a similar idea of what consciousness is. However, many differ drastically. In fact, Western Philosophy has arguably been over influenced by Aristotle and the Greek tradition, leading most Philosophical enquiry to have similar approaches and axioms. I mean, Aristotle literally invented logic. If someone invented logic itself, who’s to say there aren’t other approaches! Other Philosophies from other parts of the world lack these issues of scepticism. Perhaps this is because they have a wholly different approach to Philosophy? For example, in Taoism and some branches of Buddhism, drawing a distinction between the self and the universe is viewed as illusory. With this understanding, questions such as Solipsism become irrelevant. How could you view the world and others as not existing when the partition between you and them was illusory for starters! They are inconsistent if they rely on any observations about the world and other people. This is because they then cast doubt on the observations . For an example, imagine a scientific theory led you to believe the world didn't exist. Then the basis for your belief - scientific experimentation - has been undermined. How could you trust an experiment if you didn't know the world existed? We shouldn’t be so concerned about throwing the Theory out. In contrast, if throwing out a Theory means denying our own experiences (and potentially a priori truths) then we would be worried about throwing it out. In fact, there is more reason to think intuitively that our Consciousness is more intertwined with the world than we normally assume. This is a point Heidegger and the Phenomenologists noticed. Heidegger wrote about our umwelt, our being-in-the-world. For example, Heidegger wrote that the hammer isn’t just the brute set of physical observations in front of us, but a hammer in relation to the world. It is the hammer which you use to bang that nail in, which hangs in a certain position in the workshop, that was crafted by someone you know (and it goes on). On this understanding, our connection to the hammer might be deeper than we assume normally. Just as current understanding of Science points to connections in the brain being able to produce consciousness, this could work more broadly. For example, if the transfer of information and interaction between synapses can result in consciousness, why not the interactions between us and objects on a broader scale, and our interactions in the world? Imagine the ant hill. Every ant plays the role of a neuron, interacting with each other, and conscious perhaps(?). A similar interaction between neurons plays out in the ants, and a similar interaction between ants plays out between us and the world, an interconnected web of interacting objects. Think about the systems of connectivity and information transfer which already exist in the world! This does not deny Scientific understanding, which in both cases grapples with the same problem of how interaction of physical objects and this transfer of information results in this consciousness we experience. It also provides a new perspective on age-old Philosophical issues. Questions such as Solipsism lose their ninja like ability to evade attacks, as our consciousness links with the world. Yet, as consciousness is based through our interactions in the world, rather than what we experience being one uniform and ‘correct’ representation of the world, this doesn’t mean experiences like dreams or LSD derail the whole programme. They are a different interaction, which result in different states and experiences of Consciousness. Interestingly, this provides avenues for deeper, more layered versions of Consciousness throughout the world and between people potentially. We would be blind to these: we can only interact with other humans and animals at a ‘conscious’ level because of similarities in our data-processing and experience of the world, perhaps with similar layering and interaction of objects resulting in our consciousness. True. But one which might yield far more interesting results than the existing Theory of Consciousness in the Western World. And, put yourself in the shoes of someone who has not been indoctrinated into the Philosophical axioms and assumptions of our society. Is it really so crazy that Consciousness is more interactive with the world than we currently think?